A pocket watch frees a young girl from an unhappy vocation. Something strange frequents the dance halls of the fifties. A motorist catches a glimpse of giants on a journey through Barnesmore Gap. In this collection you will discover tales as diverse as the rugged Donegal landscape that has shaped its people over the centuries. 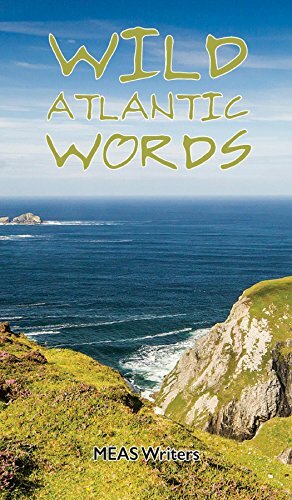 Seven authors have crafted themes of emigration, love, loss, friendship, and the supernatural to reflect life hard up against the Wild Atlantic coastline. These stories provide a unique insight into a part of Ireland where people once gathered around turf fires to indulge in their love of storytelling, a craft which lives on through Meas Writers today. A refreshing and lovely collection of short stories. The perfect kind of book to have sitting on your coffee table for dipping in and out of. It's not often you hear the Donegal accent in modern fiction and I liked how it was represented here. I enjoyed reading about the quirky way ordinary folk get on with ordinary events like buying new furniture. I found the stories like Bees Knees that much more charming because I could relate to so many of the characters depicted. What I enjoyed most about this collection was its multi author and genre aspect. It had everything- humour, romance, paranormal. It ticked all the boxes for me. Each of the stories were well written and very enjoyable but a few of my favourite stories in the collection include Bees Knees by Malachy Sweeney, Dark Heart by Marie Hannigan, Of Vegetable and Men by Charlie Garratt, Rosie by Ann Garratt and Ruby Red Soldiers by Darren Gallagher.